I'm trying to make myself an adapter for repairing (or, at least, having a look) at the output board of an Agilent/HP E4432B RF Signal Generator. For this purpose, I have to make three ribbon cables with adequate connectors and a few RF cables. Although I have already ordered SMB pigtails (because I thought it was SMB)-- once the pigtails arrived here I saw immediately it's different. I have looked at SMP (because these are specifically available for PCB-interconnects) but found that the outer dimensions would not fit. Same goes for MCX or MMCX. It's not threaded so SMA is out at first sight. SMC is also threaded, but otherwise the dimensions would look good. What kind of exotic connector was used here by Agilent? Does anybody know? Anyway, in the hope somebody can give me a hint what kind of connector this is, I'm posting the images here. The outer diameter of the jack (image #1) is about 3.9mm (approx. 0.15in). I'm grateful for any guesses you might have. It looks like a mini BNC without its bayonets to me. But it may be some kind of proprietary connector perhaps? I'll update you when I can get more info. Also, there are variants of the common connectors like SMA, SMB, SMC where the threads or the click-lock are omitted specially for such purposes. You'll have to dig thought the depths of the FULL catalogues of H&S, Radiall or Amphenol to find them. After all, it might well be propietary. If you do find out please post back because they look like the connectors in my E4406A. first of all, thanks for your helpful replies! I have found the connector in the connector identifier PDF file posted in the thread referenced by Neomys Sapiens. Apparently, it is a "D-subminiature" connector made by Pasternack. I'm currently looking for sources. They are kind of expensive (around 13 USD per connector, and I need three cables). The problem is, alternatives are extremely hard to find since searching for "D subminiature" rather gives results for way more common multi-pin connectors (9, 15, 25-pin and literally tens and hundrets of variants). I'll try to find other manufacturers/suppliers, but I'm quite sure I will not find any. It's good that you have already found it! Yeah, most of the D-sub things are the 15-pin VGA or the serial/parallel. I wonder why they call that connector a D-sub when its for RF?? The correct search term would be Combo-D rather that Sub-D. That is what most people call the Sub-D variants which can accommodate High-current, HV or coaxial RF contacts in addition to normal 22D contacts. they are made (among others) by ITT Cannon, FCI (full range), but some Coax connector companies (like Pasternack) make only the contacts, while some Sub-D producers make the Combo-D bodies, but no RF contacts. But basically, Combo-D is Combo-D. Enclosed you find the related pages from a older version of the Cannon MASB, which is a very handy guide for MilAero-connectors. they also give pointers to other, commercial documents therein. I think those contacts do come under Mil-C-39029 or a related spec, but I have to dig the designation out. Anyway, the civvie-spec contacts might use differen crimp styles and different tools. They are only required to be compatible with the applicable counterpart as used in the combo-D series (like the cheap stamped Sub-D contacts have to work with the machined ones). Important: for making adaptors, there are additional parts that can be used. The coaxial 50 -inserts from other Mil-series (circular or rectangular) or the coax inserts from the VG-Leiste can be used, as it is only the FRONT GEOMETRY (where they mate) which concerns you. The retaining geometry, where the contact is held to the body is not of concern for most adaptors. So ask the surplus dealer of your choice. For example, I have direct adaptors (to SMA), but I also have some which are made of the original contacts minus the retaining ring, so that I can access one or more Combo-D coax lines while maintaining the remainder of the connections. But in your case, the remainder does not exist, as only the coax contacts are there and no Combo-D shell. Oh, you are GER. I'll follow this up tomorrow or the day after. Maybe solution possible. Thanks, Neomys Sapiens! I'll try these and report back once I have successfully made the cables. I just came back to report that the outer shield of the connectors fits, however the center pin of the Combo-D connectors is probably too thick. "Probably" here means "determined by close visual inspection". So, I guess the connectors used by Agilent are proprietary which means I will have to find another way of repairing the signal synthesizer. Anyway, thank you all for trying to help. If there is still an idea left, let me know. In the mean time, I'll try to come up with a different way of repairing the device. Brilliant with a slaughtering iron in my hand! Sorry you had to discover this. I've ordered 2 different D-sub connectors from DigiKey and had the same result. I was about to order a third today to be certain that I'm not just getting the wrong parts. So this is most certainly NOT a D-Sub coaxial or D-Combo connector. Back to square one . . . Wish I had spoken up sooner to save you the expense. Is it not a 75 ohm version of the connector? Some connectors like the N ones have bigger pin diameter on its 75 ohm one compared to the 50 ohm. If you mate the two, you will obviously damage them. 75 contacts for combo-D exist, they are often used for analogue video connections. Maybe worth a try. 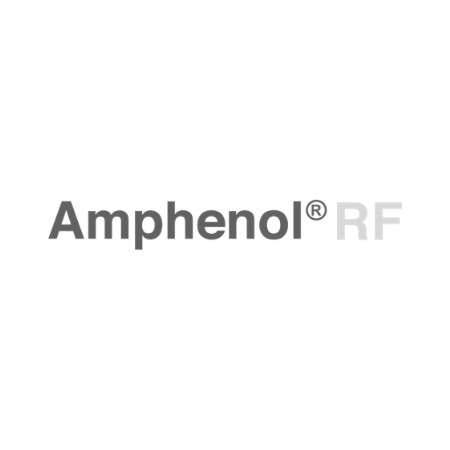 Available from Amphenol, among others. And watch carefully, as those come in both 50 and 75 too! So here is another source (enclosed PDF). Also Pasternack, but no slide-on readily available. It sure looks like a 1.0/2.3 (Siemens 75 ohm) to me but the female's outer shell should have a notch, i cant see any notch on the pictures? As stated above, the slide-on variant. This does not have the notch, as shown clearly in the 'Adaptor Identifier'. If you want to order from agilent/keysight with the correct part no., might as well search it here first. Thanks, it could very well be a slide-on variant of the 1.0/2.3 connector. I did not consider it in the first place, because the outer diameter of the receptacle is slightly larger than I have measured. I'll have a closer look and try to get one of these on my hands. I'll report back.